Congress Clashes Over Release Of CIA 'Torture Report' : The Two-Way Senate Democrats plan to release the long-withheld report on interrogation techniques this week, but the State Department wants more delay because of feared repercussions — both at home and overseas. Senate intelligence committee chairwoman Sen. Dianne Feinstein, D-Calif., is again defending her report on CIA torture methods, which was set to be released this week. Leaders on Capitol Hill are at odds regarding a report on CIA methods — including torture — used to extract information in the so-called war on terror. Chairwoman of the Senate intelligence committee Dianne Feinstein, D-Calif., has been fighting for the release of her 480-page executive summary of the report since April of this year, and it finally was scheduled for a reveal this week. But Secretary of State John Kerry called Feinstein on Friday on behalf of the White House, asking for a delay. The reason for the request is a general fear from both sides of the political aisle that details in the report will put American personnel in danger overseas and incite further violence from extremists. Feinstein's counterpart in the House, intelligence committee chairman Rep. Mike Rogers, R-Mich., appeared on CNN's State of the Union on Sunday to express his concerns about the release. "I think this is a terrible idea," Rogers said. "Foreign partners are telling us this will cause violence and deaths. Our own intelligence community has assessed that this will cause violence and deaths." "The request put Feinstein in an agonizingly difficult position — delay the release and run the risk that Burr and the Republicans will block the report after they take over in January, or go ahead and take the blame if Americans in foreign countries are harmed." Still, Feinstein defended her position in the interview. "We have to get this report out," she said. "Anybody who reads this is going to never let this happen again." NPR's Sam Sanders reported Sunday that "officials who've seen the report say it details sleep deprivation, confinement and waterboarding." On Weekend Edition Sunday, NPR's Mara Liasson spoke with host Rachel Martin about the Obama administration's view of the release. "The administration supports releasing the report. And the State Department says Kerry told Feinstein that the timing of the release was her choice. But the administration is concerned about how the report would affect ongoing efforts against ISIS, the Islamic State terrorist group, and the safety of Americans who are being held hostage around the world. And it wants those issues to be taken into account." 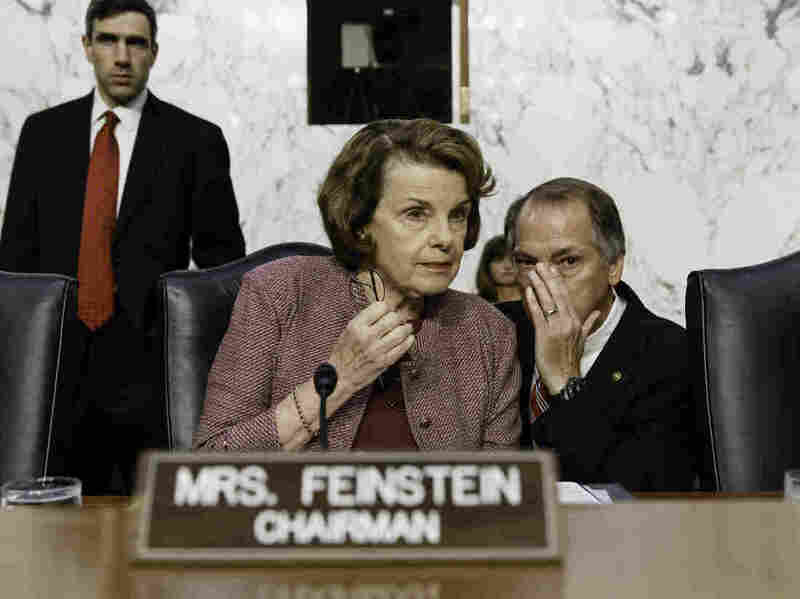 They noted that Feinstein has a number of supporters in her corner when it comes to releasing the report this week. Sen. Mark Udall, D-Colo. — who lost his bid for re-election in November — has threatened to read the report on the Senate floor. And Sam reported that several Democrats worry that time is running out to release the findings, since Republicans will soon gain control of Congress. "The US government's international legal obligations on truth, accountability and remedy demand that any information that pertains to human rights violations, including the crimes under international law of torture and enforced disappearance, be made public. The United Nations, among others, has formally recognized the importance of respecting and ensuring the right to the truth so as to contribute to ending impunity and to promote and protect human rights." "In the wake of the Sept. 11, 2001, attacks, lawmakers urged us to do everything possible to prevent another attack on our soil. Members of Congress and the administration were nearly unanimous in their desire that the CIA do all that it could to debilitate and destroy al-Qaeda. The CIA got the necessary approvals to do so and kept Congress briefed throughout. But as our successes grew, some lawmakers' recollections shrank in regard to the support they once offered." "What we can't know, what we'll never know, is whether those were the only ways to elicit that information." Feinstein says her report can answer that question.